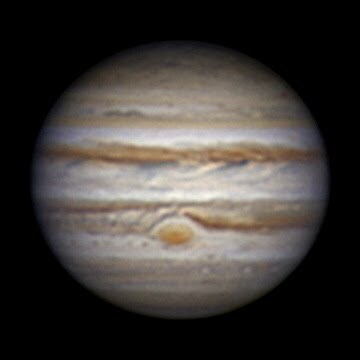 It was good seeing but I have not seen it on monitor. 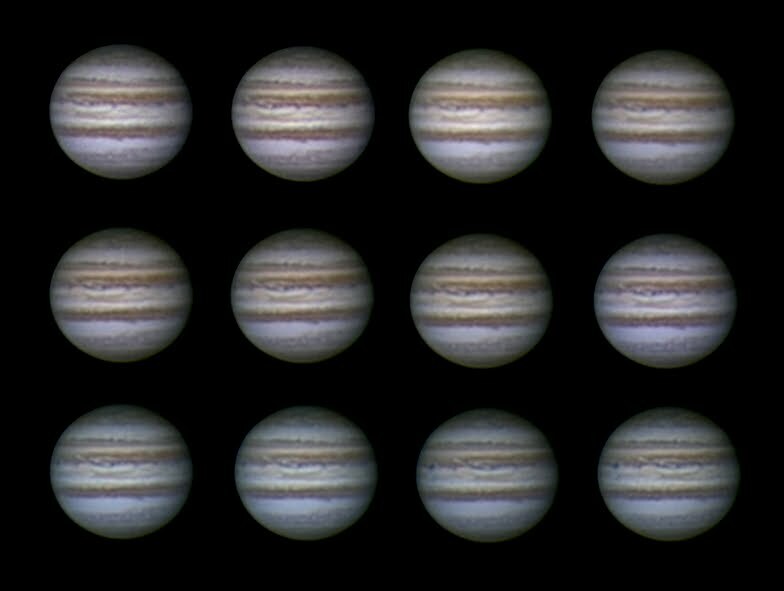 So I made only a few shots. Begins a new season 2014-2015 for Jupiter. 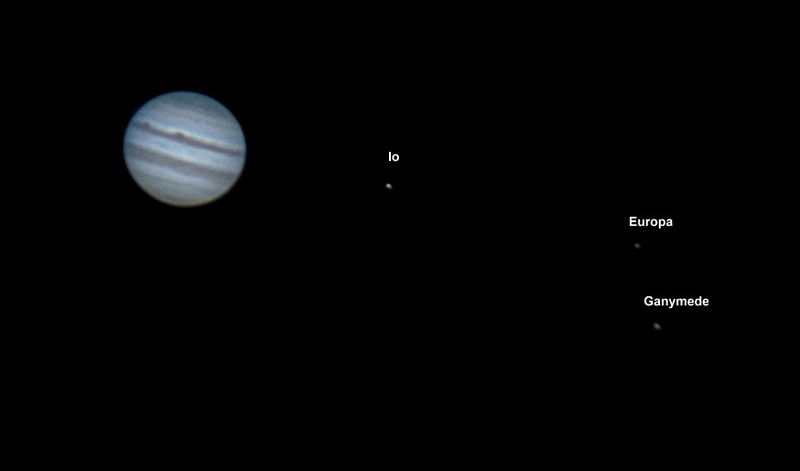 Short animation - click on this picture. 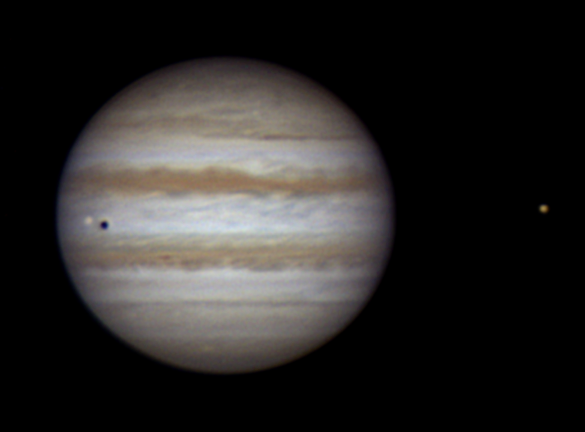 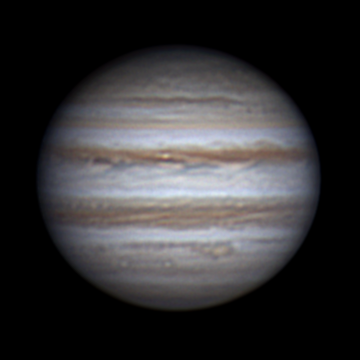 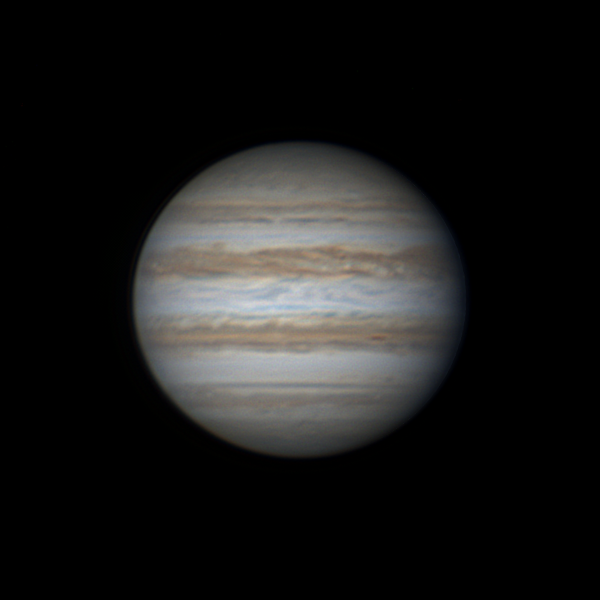 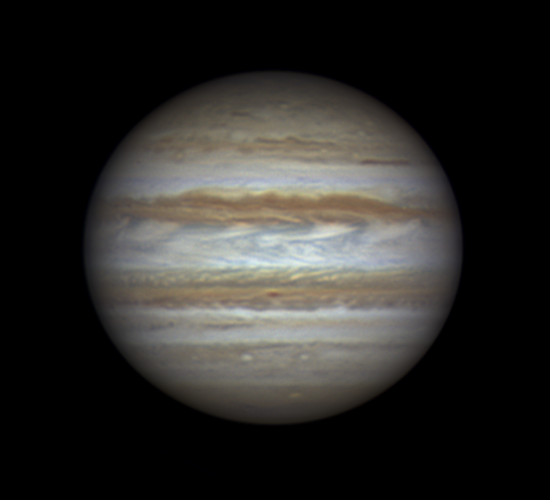 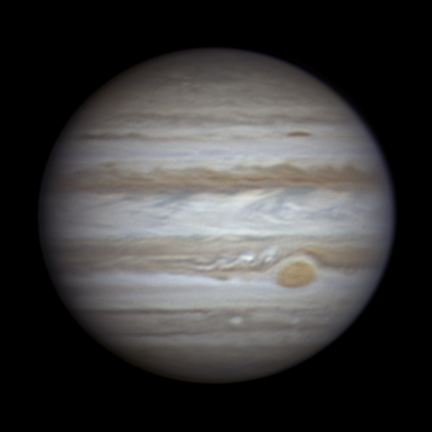 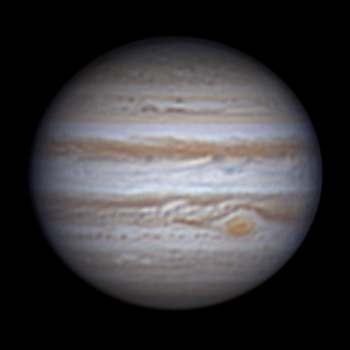 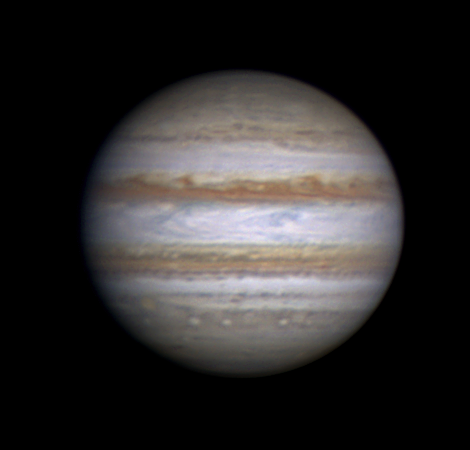 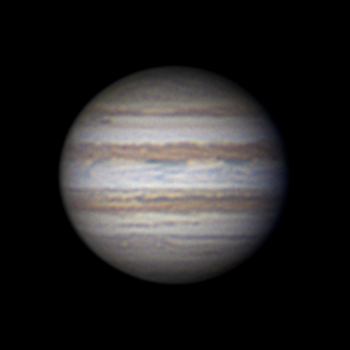 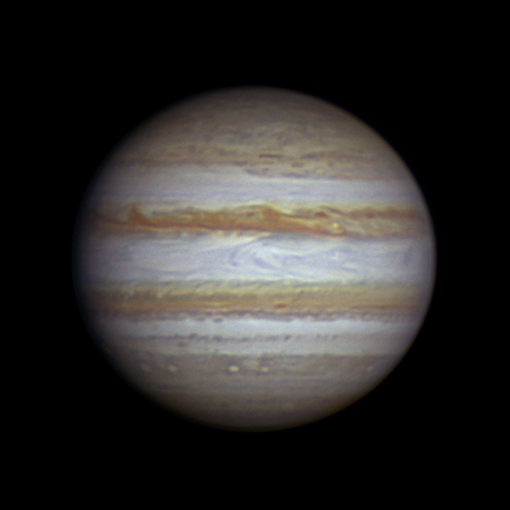 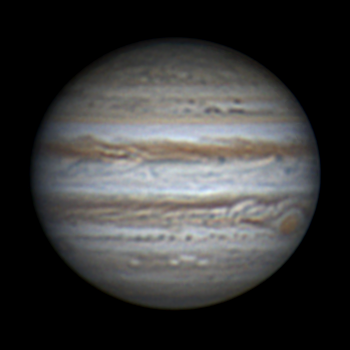 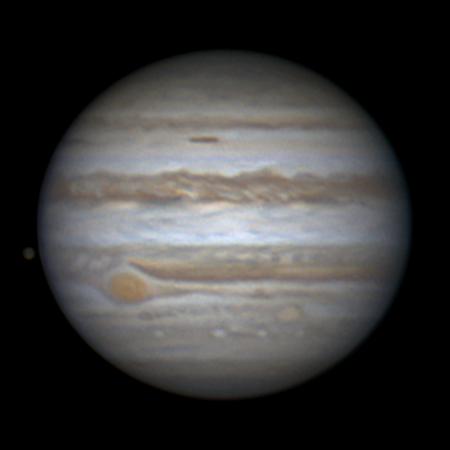 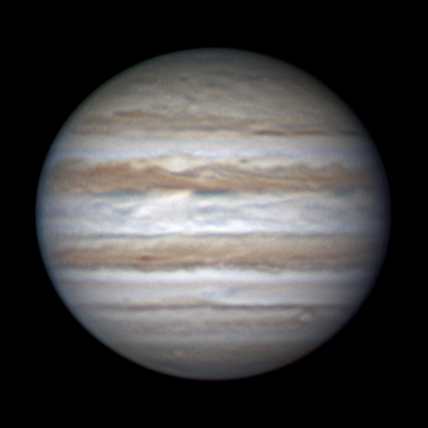 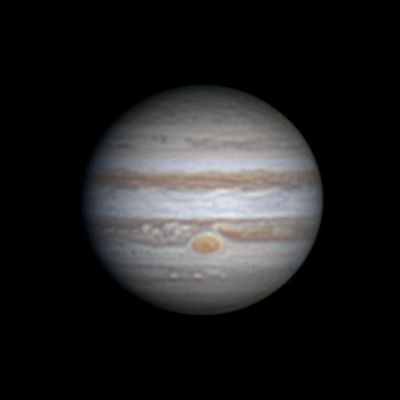 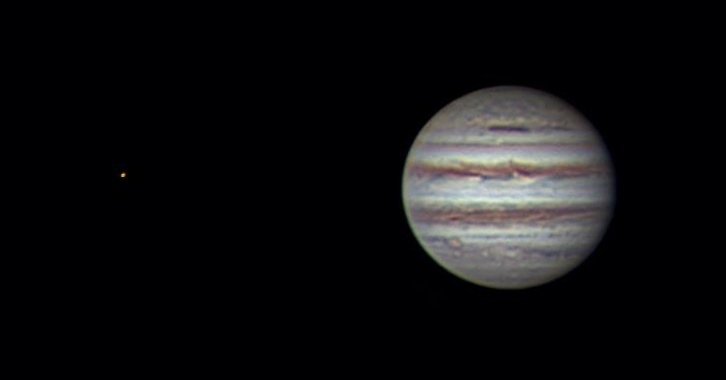 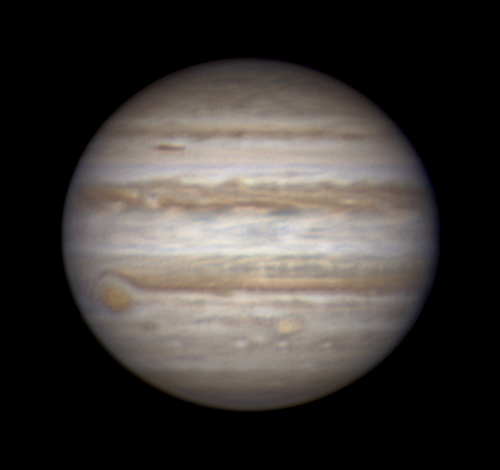 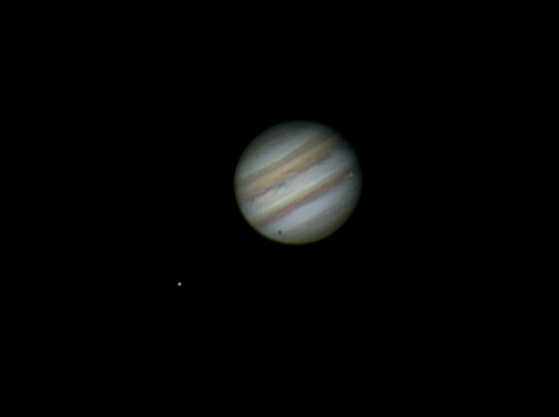 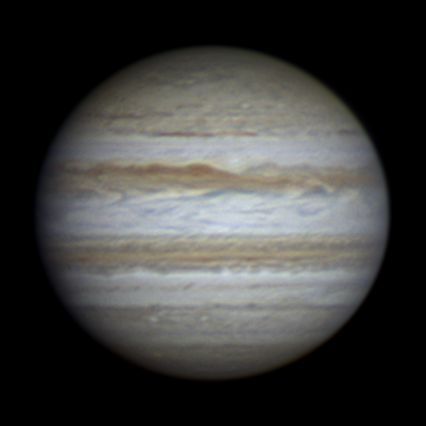 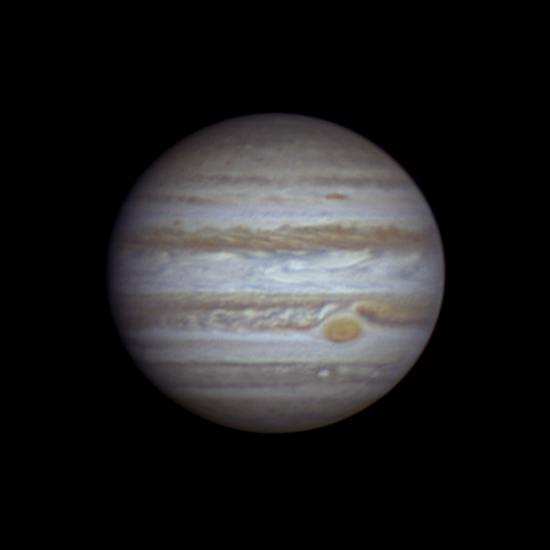 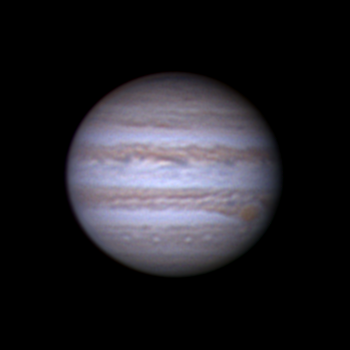 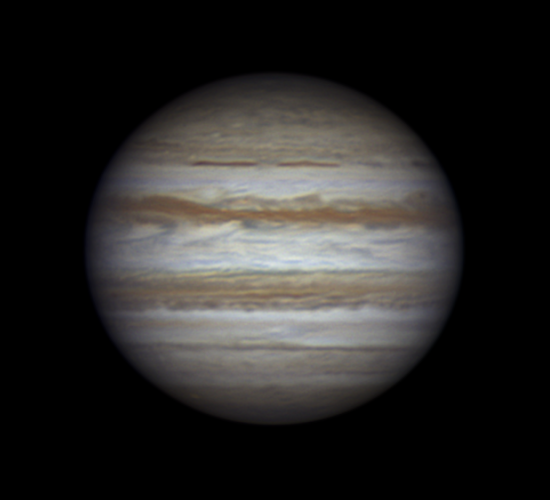 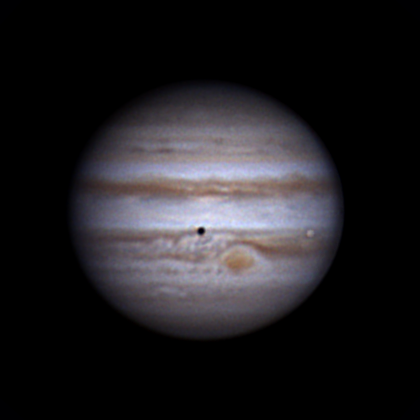 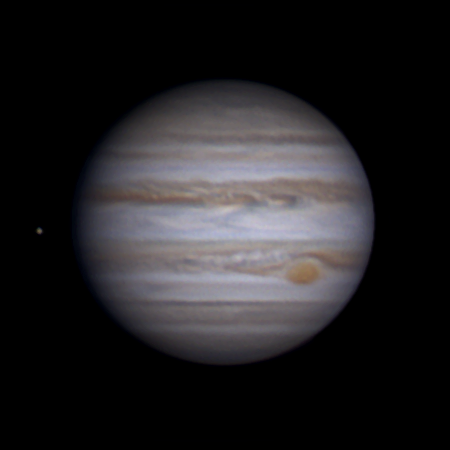 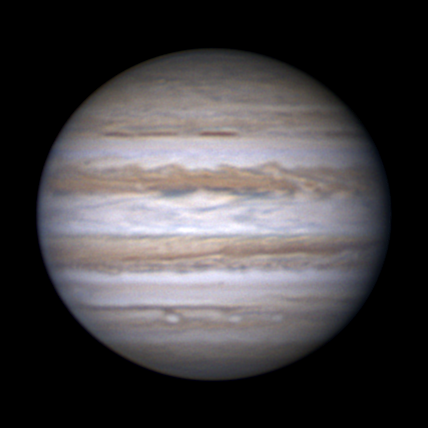 Animation of Jupiter 12.3.2014. 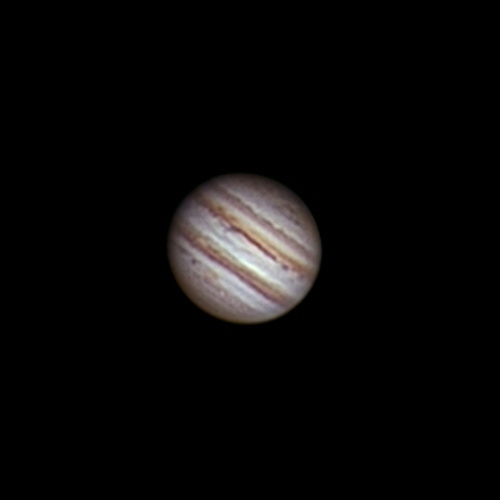 I used only Barlow 2x. 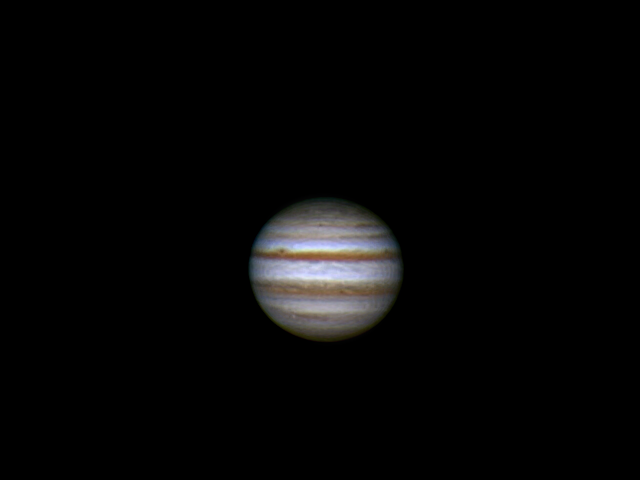 14 days after the opposition. 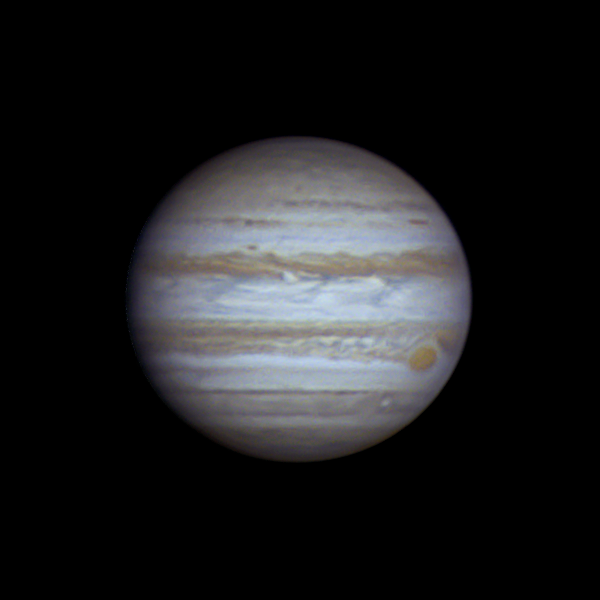 Much moisture. 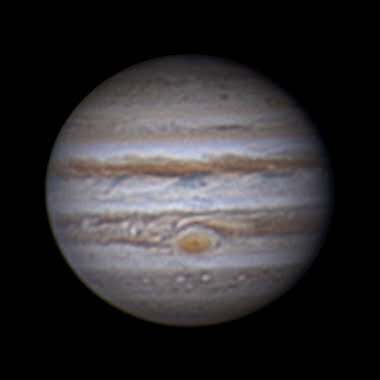 I had often using hair dryer. My first picture by new camera ZWO ASI120MC. 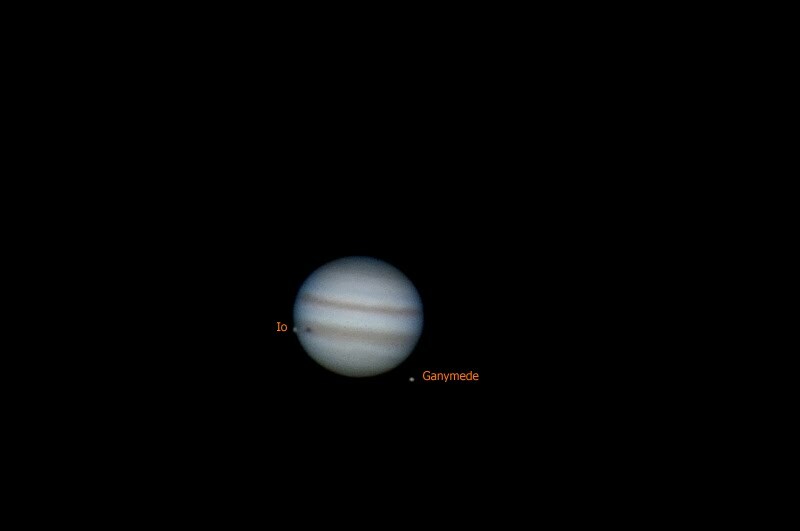 Jupiter, Europa, Ganimed and Io.